There are places to which one feels to belong, for a strange energy that they transmit to the heart and the mind. Then, there are places that belong to us because they evoke memories that excite memory as well as the skin. Finally, there are places you feel you belong to because, indeed, they already belong to you. Because they know how to infuse energy, awaken emotions, generate feelings of pleasure, provide wellbeing to the body, soul and thoughts. Here it is. This is our corner of paradise. A space, and a time, to be fully enjoyed to be reborn and rediscover themselves, looking with new eyes, those of serenity; caressing with sweet hands, those of the forgotten frenzy; savoring in the most natural and yet forgotten gestures, those of tenderness, towards oneself and towards the other. Here it is. This is our corner of paradise. A gesture that is love already in thought. Stop your time. Book your space. And give us the chance to make your moments unforgettable. 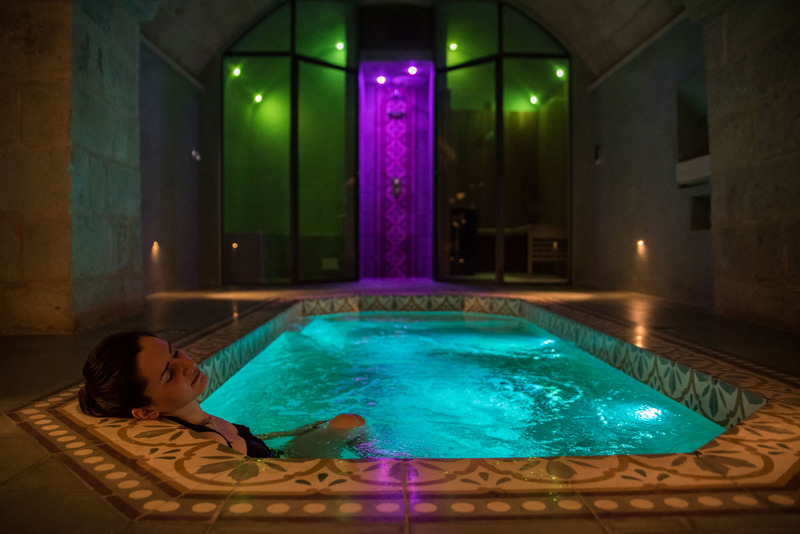 The SPA is open every day and, to guarantee a high level of comfort, access to the service is by reservation. The cost of access to the Wellness & SPA Area is not included in the price of accommodation. 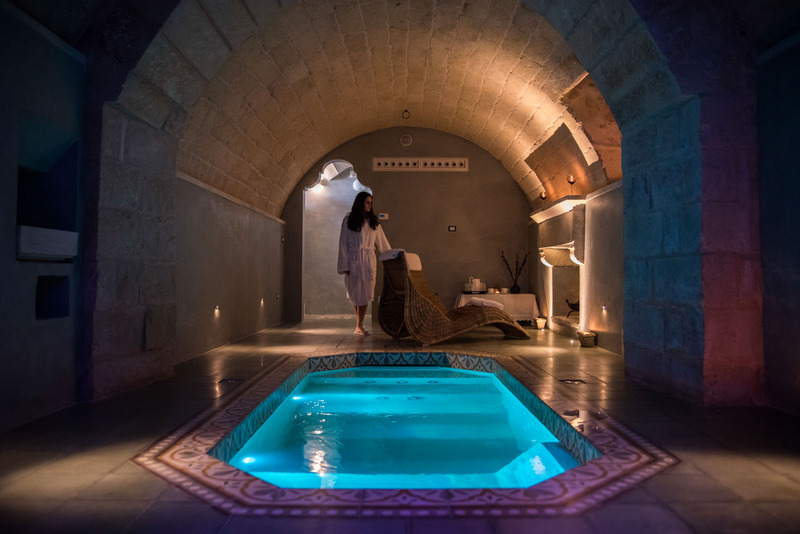 Admission includes exclusive access to the SPA, upon reservation, the entire wellness program for the duration of two hours, the provision of bath towels, slippers and the Wellness Food corner. The Wellfood corner includes sweet musical notes, detoxifying, relaxing or invigorating teas, fruit yoghurt and petite patisserie will complete the experience to make it unforgettable. 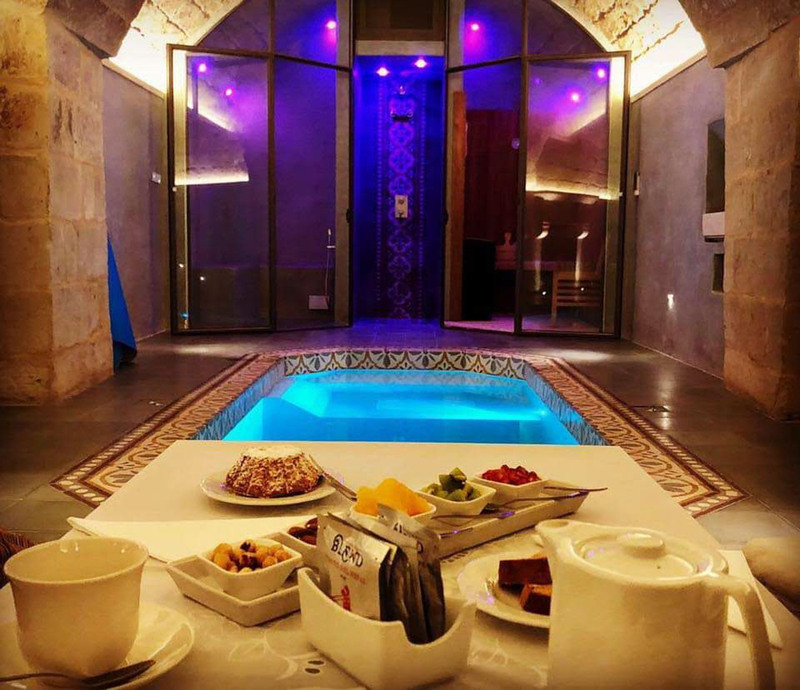 The SPA is equipped with Wi-Fi service and is included. Access is allowed to those over 14 years of age. We suggest you book your spa day at least two days in advance. If you want to take advantage of the Massage service we suggest you to book a week in advance. PROMOTIONAL PRICE of launch for only € 40 / person every day of the week. On request the Apony Wellness service is available, with delicacies and a glass of wine of your choice at a cost of 10 € / person. . On request we can satisfy any other requests..
Subscriptions can be used by more than one person with a maximum of 2 concurrent entries, with the exception of the 5-entry subscription that is nominative. Validity 12 months from the date of issue. Reservations are recommended. It should be noted that in the case of cancellation of the booking and / or treatment within 48 hours of the same, 50% of the cost of entry and / or of the same treatment will be due. 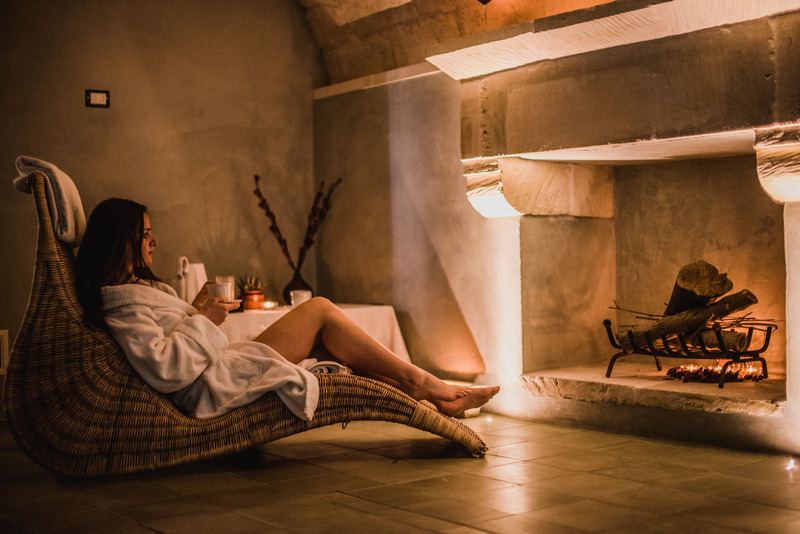 Access to the SPA & Wellness at Palazzo Muro Leccese Relais de Charme is subject to acceptance and compliance with this regulation; the purchase of the admission ticket, of the subscriptions implies the total acceptance. Access to the SPA is not permitted for pregnant women and those who have presented or still present cardiac disorders, arterial pressure, respiration, recent traumas, who have undergone recent surgeries, which are affected by other relevant diseases . The use of saunas and steam baths is contraindicated in cases of: heart disease, circulatory disorders, hypotension, varicose veins of the lower limbs, pregnancy, renal failure, ongoing menstrual cycle, candida infection, feverish states, inflammatory phenomena in general, wounds in the acute phase or in the process of resolution, acute or chronic respiratory failure, alcoholic intoxication. Access to children under the age of 14 is not permitted. Admission is considered unique. Once logged in, it is not allowed to leave the facility and log back in using the same ticket. It is mandatory to wear the costume and to wear slip-resistant slippers in the structure. Please do not wear slippers in the tub, sauna and steam bath. Shower is mandatory before accessing spa practices. It is mandatory to keep a tone of voice and a tone appropriate to the environment of absolute relaxation. It is forbidden to smoke inside the entire structure. It is forbidden to dive. It is mandatory to use the special towel inside the saunas. In case of illness, sound the special alarm inside the structure. In the use of the practices it is recommended not to exceed the residence times indicated in the internal communication to the center. At the end the linen and slippers must be deposited in the appropriate collection baskets. Check that you have not forgotten personal items. Subscriptions: loss of season tickets entails the loss of residual entries. It is mandatory to leave the tanks and spa practices 15 minutes before the end of shift time. It is forbidden to access animals in the Spa and throughout the Palace. The Management declines all responsibility for any loss or damage of personal items within the structure. The Management reserves the right to remove at any time those who do not comply with this regulation.